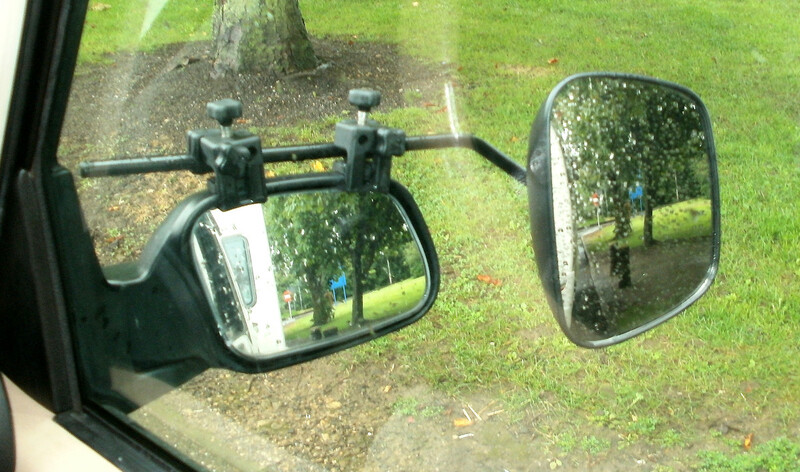 Some people still insist that they get a good enough view with their car door mirrors, but, to comply with the Law and common sense you need to fit extra mirrors. Not only do I get a view down the near-side of the caravan, I also get a view, but only in the Aero mirror, of a lorry parked right behind me. 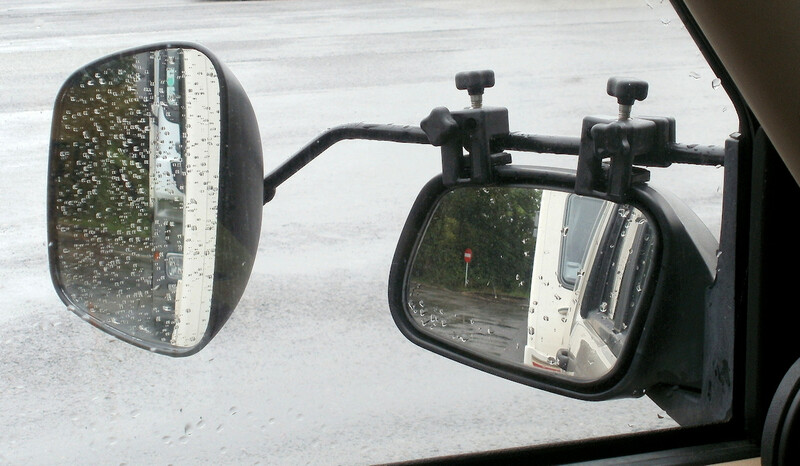 Almost the same view in both mirrors, but, in the Aero mirror, a view including the off-side of the Caravan and the mirrors of the lorry parked behind. The big debate is should you fit Flat or Convex mirrors. Well this is a difficult one, and is down to several factors that are dependent on your vehicle and the door mirrors already fitted. I chose Convex to begin with, but was not happy with the result so then I bought one Flat mirror head and after trying it also changed the other one as well to a Flat mirror. Partly the reason was that I have changed the caravan to a longer double axle one, and I find that with the flat mirror it gives me a more precise view especially while overtaking both on pulling out and returning to the inner lane. Also, my car door mirrors are convex and hence I have both views.